Have you been injured on the job? You may be experiencing more than just physical pain. You may be worried about a number of issues related to workers’ compensation. Here, we’d like to address some of the most common questions we hear from concerned clients. 1. What Should I Do If I’m Injured on the Job? Oftentimes, injured workers wait to see if the injury will heal on its own before reporting it. Then, when it becomes apparent that the injury will cause them to miss work or need significant treatment, they report the injury. Understandably, for employers and workers’ compensation insurance companies, it raises red flags when an employee doesn’t report an injury until days, weeks or even months after it occurs. For this reason (among others), it is extremely important that you inform your supervisor as soon as you have sustained a work-related injury, so that the incident can be documented properly. For example, if you don’t report an injury within 90 days of when it occurs, you may be forever barred from making a claim at all. Ask To Seek Medical Attention. In cases of true emergency, the first thing you should do when injured at work is get the appropriate medical attention. If the injury does not appear to be an immediate emergency, when reporting the injury to your supervisor, make sure you clearly and politely request that your injury be evaluated by a physician. Fill Out An Injury Report. It is important that an injury report be filled out by you and your employer when an injury is reported. If your employer does not fill out injury reports as a normal part of their process, or if your employer refuses to fill out an injury report, confirm with your supervisor in writing (by letter, e-mail or text) that the injury occurred and that you are in need of medical treatment. Other than medical records, the initial documentation of the injury with your employer can be one of the most important pieces of evidence in your case. 2. What Benefits Can I Receive For Workers’ Compensation? 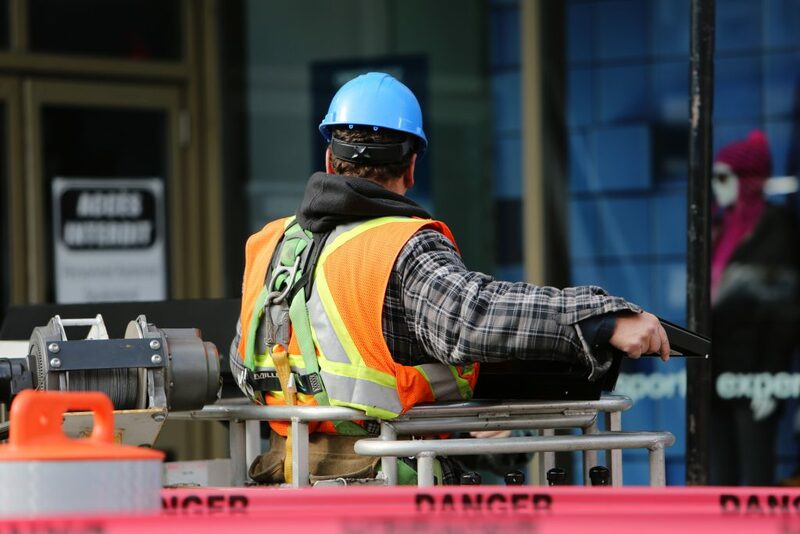 Generally, when you suffer an injury at work, your employer’s workers’ compensation insurance company should authorize and pay for medical treatment you need as a result of your injury. Be aware that the insurance company will choose the doctors you see for your injury. If you see a doctor that has not been authorized by the workers’ compensation insurance company, in many cases it will be your responsibility to pay for that treatment. When the doctors that the insurance company choose for you recommend additional treatment of any kind (for example, an MRI scan, physical therapy, or a surgical evaluation), the insurance company should also authorize and pay for the recommended treatment until you have been determined to be at maximum medical improvement (“MMI”). If you are unable to work as a result of your work-related injury, you may be entitled to weekly payments from the workers’ compensation insurance company. These are called temporary total disability (“TTD”) or temporary partial disability (“TPD”) payments. You may be entitled to these weekly payments when the authorized treating physician determines you are to remain completely out of work. You may also be entitled to these weekly payments if the authorized treating physician determines that you can work, but only with restrictions on your physical activity (for example, no lifting, bending, twisting, etc.). When your doctor gives you physical restrictions, if your employer is unable to provide work for you within those restrictions, then you may be entitled to weekly payments. If, however, your employer can provide work to you within those restrictions, you must return to work. In the unfortunate situation when your work-related injury is permanent in nature, the workers’ compensation system is designed to compensate you based on the extent of your permanent disability or impairment. The amount to which you are entitled depends on many factors, most of which will not be known at the beginning of your case. 3. How Long Will It Take to Resolve My Case? How long your workers’ compensation case takes to resolve depends largely on the extent of your injury. If your injury is fairly minor, and you do not require significant medical treatment, your case may be resolved within a matter of months. However, if you sustain a serious, permanent injury at work, your workers’ compensation claim will likely take much longer. It is not uncommon for cases to take a year or more when severe injuries are involved. In addition, certain aspects of the legal process (such as an appeal of a decision made by a Commissioner) can add to the length of time it takes to resolve your case. 4. Will I Be Fired for Being Out on Workers’ Compensation? Generally, an employee in South Carolina may be terminated from any position for any reason at any time. However, an employer may not terminate an employee in retaliation for making a workers’ compensation claim. This does NOT mean that you cannot be terminated while your workers’ compensation claim is ongoing. You may still be terminated “for cause” while your claim is active (for example, if you get into a screaming match with your supervisor, you may still be rightfully terminated for insubordination). There are also several other situations in which you may be terminated during the course of your workers’ compensation claim, but if you are fired while your claim is ongoing, there may be legitimate claims you may make against your employer in addition to your workers’ compensation claim. Unless you are terminated for cause, being terminated from your position while your claim is ongoing does NOT end your entitlement to medical treatment, weekly benefits and/or disability benefits, if applicable to your case. 5. How Much Will I Be Paid Each Week if I am Out on Workers’ Compensation? According to South Carolina law, while you are unable to work due to your work injury, you will receive two thirds, or 66.67 percent of your average gross weekly wages. In order to correctly determine the amount of your weekly benefits, the first thing that must be calculated is your average gross weekly wages. Your average weekly wage is calculated based on your average pay during the four quarters before you got hurt (excluding the quarter in which you were hurt). Be aware that your average gross weekly wage is NOT the same as your “take home” pay. Once your average weekly wage is determined, that amount is multiplied by .6667, which results in your compensation rate. Your compensation rate is the amount that your weekly benefits will be. Be advised that your average gross weekly wages are determined using your wages from ALL of the jobs you have at the time of your injury, NOT just the job at which you were injured. In addition, be aware that South Carolina law dictates that your compensation rate cannot exceed a maximum amount set by the Workers’ Compensation Commission each year. If you make a significant amount of money, the maximum compensation rate allowed by law may be substantially less than you made prior to your injury. The maximum compensation rate changes each year and is based on the year in which you were hurt. …contact Hundley Law, right away to discuss your case. As you have just read, there are many variables involved in each workers’ compensation claim, so it is important that you speak with an experienced workers’ compensation attorney as soon as possible to ensure that your rights are protected to the fullest extent possible. Contact us today to set up a consultation.